Ever wondered what AirDrop is and what its purpose is whenever you swipe up your iPhone's or iPad's Control Center? If you have – worry not, for you're far from the only one. According to Google's just released "Year in Search" breakdown of what we ask its search engine for the most, "How to AirDrop" was at the very top of the how-to section throughout 2014. We thought we'd help clear it up, because it does need some clearing up. While AirDrop is very well thought-out on the whole, there's one part of the process that causes all of this searching online to make sense of it – when you activate it, absolutely nothing happens. At least it doesn't look like it. 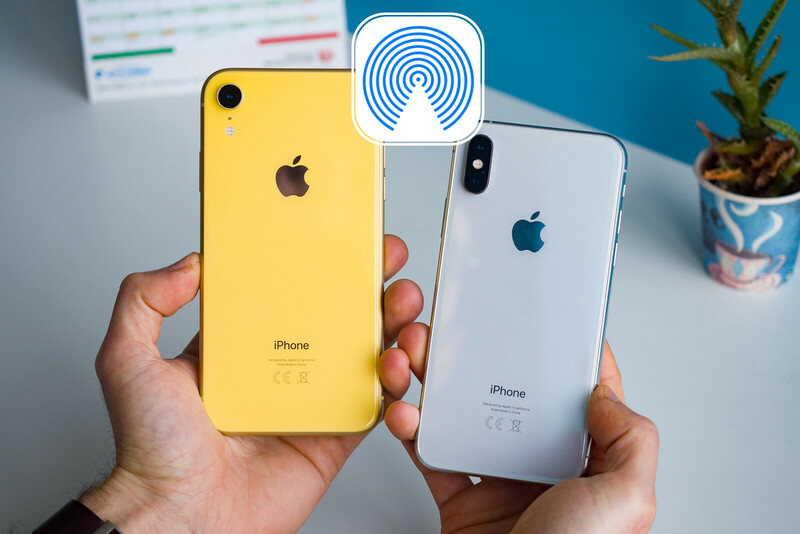 But the truth is that turning on AirDrop is alike to turning on Bluetooth – it gets you online, at least as far as other AirDrop-compatible devices are concerned. Jump right into the slideshow for detailed instructions on how to AirDrop, its capabilities, and supported devices. First things first: Swipe up from the bottom of your iOS device's screen to summon Control Center and then click on AirDrop. This will cause a small menu to pop up, and you'll have a choice to make: Do you want your device to be visible to any other compatible device around you, or just people within your contacts list? If you choose the latter, keep in mind that both of you need to have each other's details and be logged into iCloud. Choosing "Everybody" is generally the more hassle-free option. That's it, folks – no further setup needed. From here on, you can start sharing content whenever you're on the same Wi-Fi network with another iOS device (that's what AirDrop uses for quick transfers). One example is, you can share contact details – just go to the contact's mini profile within your Contacts app and click "Share Contact" and choose the device you want to receive it. Here's what the other iOS device will see when you share the aforementioned contact with it. You can either accept the transfer or decline it. You can also share photos and videos (one or several) with AirDrop – just go to the Photos app and choose the image you want to send over. Next, you have to locate the square icon with the arrow (iOS' universal "share" button) and then choose the device you want to share the snap with on the top of the menu. And again, this is how it works on the other side – the device you're sharing with will have the option to accept or decline the photo (oro photos) with a single tap. You can also easily share links with AirDrop – just click the iOS share button again and choose the target device. And this is how it'll look on the other side. That's it! Not complicated at all, is it?